Today’s guest on Inner Source is a phenomenal author of young adult fiction, Anna Marie Kittrell. I have followed Anna’s career because her books have always struck a chord with me. Her stories transcend generations, and that’s what a good story does, no matter the genre. 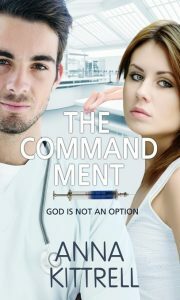 Her novel, The Commandment, is a unique perspective for all generations and actually had me asking a very important question of myself: what do you do when “God is not an option”? Anna, I’d love to hear a little about you. Where are you from? What do you do when you’re not writing? Hi Fay! It’s always a pleasure to be on Inner Source. I reside in my hometown of Anadarko, Oklahoma, where twenty-nine years ago I married my high school sweetheart, Tim. We’ve since raised both of our children, renovated a home, and are now helping to raise our four-year-old grandson here in Anadarko. This month I began my eighteenth year as secretary of Anadarko Middle School, the greatest, busiest—and most days, craziest—place on earth this side of Disney World. Fortunately, I’m not a person who believes a writer must pen words every single day to be considered a “real” author. Because I work fulltime and daily care for my grandson, most of my writing is done in snatches of time before work, on my lunch break, or on the occasional weekend. In other words, I write when I can and I don’t when I can’t. The seasonal and holiday breaks from school are extremely beneficial to my writing process. Although few and far between, my favorite writing days are those when I spend hours at a time in front of the keyboard. As I noted, The Commandment is a very different kind of story, and the message of the story is one that will cause the reader to pause and think about where our nation—where the world—is going in its desire to pretend that God does not exist. Anna, what made you think of this concept? Several years ago, when the premise for The Commandment began to surface, the story seemed to be some type of reverse-amnesia tale. I kept picturing a girl in a hospital bed, coming out of anesthesia. A doctor asked the girl if she “still remembered,” to which she replied, “yes.” This made her mother cry hysterically. Why, I wondered, did the girl’s mother not want her to remember? And what did the girl’s mother so desperately want her to forget? Only when I began to outline, did the story start to take shape. As it turns out, the book takes place thirty-five years in the future, and is the story of a girl who faces elimination on her eighteenth birthday because her body rejects a mandatory, God-erasing vaccine. As far as what exactly made me think of this particular concept, I can only speculate. Maybe the idea was sparked by the stories my great-grandmother shared with me as a child about the future hardships believers would endure. Perhaps the persecution of believers right here at home no longer seems so far-fetched as it did back then. In your novel, the “Agathi” as a part of our brain is very important. Would you explain that for us without giving too much of the story away? In The Commandment, it has been discovered that there is a specific area of the brain that houses Christian-related information. This fictional area of the brain is called the “Agathi.” The name is plural, because there are two matching areas or “God Zones,” one located in each of the temporal lobes. Main character Briar Lee’s brain is resistant to SAP, a serum formulated to numb the Agathi and block all God-related thought and emotion. Because of Briar’s resistance to SAP, her Agathi are alive and well, and in fact glow with color whenever she thinks on the things of God. Interestingly, while doing story-related research, I learned that there was actually a research tool invented to investigate the brain’s role in religious experiences called the “God Helmet” (originally known as the Koren Helmet, after its inventor, Stanley Koren.) Apparently, some people have had “visions of God” while participating in experiments with the helmet. The helmet applies complex magnetic signals to the head of the wearer, exposing them to a very weak magnetic field near the temporal lobes. Your character, Briar, despite the life she had been forced to live is very dynamic and hopeful. Is she based upon someone you know? I wouldn’t go so far as to say that Briar is based on me, but I would say her doubts and fears, in many ways, resemble my own. I would like to think that in a time of adversity such as Briar’s, I would be unwaveringly strong and faithful. However, I believe the bouts with fear and confusion Briar experiences would be closer to my own reactions. She wavers when choosing between what is right and what is easy. She is frustrated, and half-wishes the SAP would have done its job and numbed her Agathi, so that she wouldn’t have to face the torment that lies ahead. She is afraid of what will happen if her God Zones light up—and more afraid of what will happen if they don’t. Contrary to being based on a particular person, I think Briar’s dynamic and hopeful nature is derivative of the faith we have as Christians. Sometimes strong, sometimes weak, but always there. Always constant. And as long as we hold to Christ, there’s always hope. As I said, I follow your career closely. 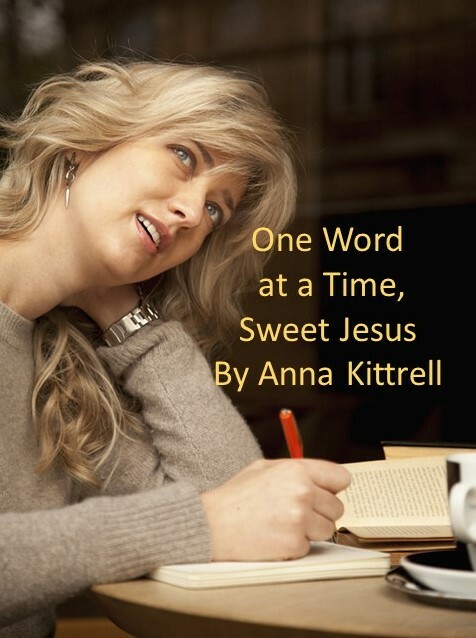 What comes next on Anna Kittrell’s wonderful journey of writing? I always say my writing style is as eclectic (a nice word for mismatched) as my wardrobe. 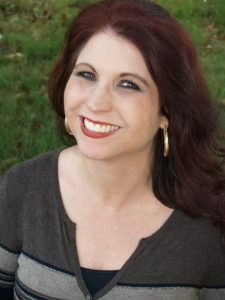 My collective work is a mixed bag of genres that include Christian futuristic romance, Christian YA, romantic suspense, poetry, short stories, and my new obsession—screenwriting. Over the past two years, I’ve penned four feature length screenplays in assorted genres, and have absolutely fallen in love with the process. In a screenplay, the writing is sparse and succinct, and the word count is much less than a novel. At this point in my life, screenwriting just makes sense. That’s not to say I’m stepping away from novel writing forever—just for a season. A genre-spanning dream of mine is to see The Commandment on the silver screen. I’ll be following your career as I have for years. And,yes, The Commandment would be a great adaptation for a movie, a story to make the audience truly think about the cost of the loss of our ability to worship God as He intends for us all to do. If you missed Inner Source’s Monday interview of Anna’s heroine, Briar Lee, you can read it here, and on Friday (the release date for The Commandment), Anna shares a heartfelt blog about her journey in writing the story.